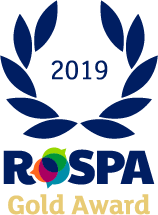 The RoSPA Awards Adjudication panel has confirmed that Halsall Construction was to be awarded the RoSPA GOLD award for their health and safety performance during the period of January 1st 2018 to December 31st 2018. The RoSPA Health and Safety Awards has given Halsall Construction a great opportunity to prove our ongoing commitment to raising health and safety standards. We have a strong health and safety culture within our business to make sure that that our workforce is kept safe and well. Having provided timely, sound evidence of our health and safety management system we are delighted to be given this accolade. Congratulations to everyone at Halsall for this well-deserved award!